I feel like I have to start this post with,”No, I haven’t died,” which I do realize is how my last posting started. Nevertheless… No, I haven’t died. 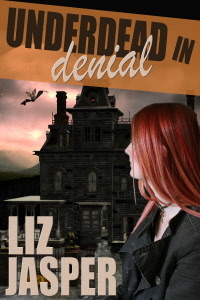 I HAVE been working on the third book in the Underdead series. And I’m here because yesterday I finished a rewrite pass. Hooray! Now, some writers would have used “the” re-write pass. (Jealous moment.) I’ll be doing another one before I send it off to my editor. So, third book coming soon. There will be a fourth for certain. And possibly many more. I need a wee bit of space before I look at the book again, and I won’t know what to do with myself if I don’t spend my commute time and lunch hours writing so I might actually post blogs. I know, you’ll all faint from the shock if that happens. Happy Labor Day everyone! I’m going to put the computer away, get off the couch and go for a hike. 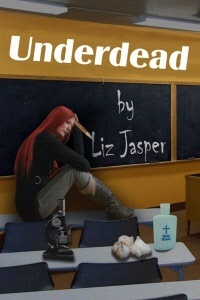 This entry was posted in Book news and tagged coming soon, Jo Gartner, liz jasper, third book, underdead. Bookmark the permalink. Woo Hoo … great news! Ginger, I know the exclamation point on that cheer is for posting on my website. I have waited for awhile to read book number 3 and am excited to see that it will be released around Christmas. Nice cover. So true, but I’m sure the book will be worth the wait.